Is it fun to be World No 1? Most of us would think it’s got to be; all that attention and adulation can’t possibly make you feel anywhere but on Cloud 9. But is it fun to constantly have a target on your back, and to have the weight of the whole world’s expectations on your shoulders day in and day out? As Naomi Osaka is finding out, it definitely isn’t. As if all of that wasn’t bad enough, she has now lost to Su-Wei Hsieh in the Miami fourth round by the score of 6-4, 6-7, 6-3. The defeat itself shouldn’t be a cause for the alarm bells to get louder. Hsieh is an incredibly crafty player even at her worst, and had precedent in troubling Osaka: she was up by a set and 4-1 at the Australian Open earlier this year before the Japanese clawed her way back to register a memorable triumph. But it is the manner of the defeat on Saturday that has made the murmurs of doubt surrounding Osaka chirpier than ever before. She was up by a set and serving at 5-4 in the second, even getting to two points from victory at 30-0. But now it was Hsieh’s turn to claw her way back, hitting a few forceful groundstrokes into the corners and daring Osaka to go down the line with her backhand on break point ― which the World No 1 missed. Osaka had another chance to escape as she went up a break at 2-0 in the third, but after what had happened in the second set she didn’t have the confidence to close it out. Right on cue Hsieh broke back immediately, and that was that. Osaka seemingly lost the will to compete towards the end, making errors all over the place to hand the Taiwanese another one of her trademark upset wins. While Hsieh deserves every plaudit coming her way for her wickedly masterful performance, it’s hard not to feel worried about Osaka’s growing uneasiness with her newfound fame and expectations. 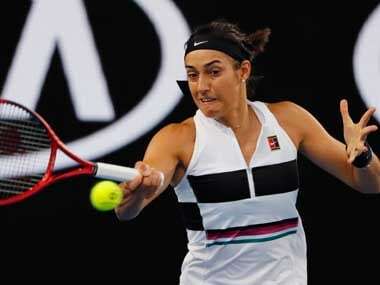 These were the kind of matches she was winning just a few weeks ago; at the Australian Open, when players dared her to go down the line with her backhand, she resolutely stayed the course and won the point anyway. But now ― maybe because she feels as the World No 1 that she is expected to stamp her authority on every single opponent ― she is making bad decisions at the worst possible times, and losing matches she has no business losing. Osaka admitted as much in her freewheeling yet despondent press conference later. “I want to win every match and I think I have dealt with people always asking me if I am going to win because I have number one next to my name. I thought I was doing fine with that but I guess I am not,” she said after the match. The defeat to Hsieh was more physical than mental, and it is tough to say whether that’s a good thing or a bad thing. Osaka was certainly hitting the ball well until the middle of the third set; this was not an error-fest of a match which has occasionally been the collateral damage that power hitters have to deal with. If anything, Osaka actually looked like the World No 1 player who was blessed with a unique mix of control of aggression ― until she didn’t. “I think I played pretty good if I get over the fact that I lost,” Osaka also said. Unfortunately for her, she doesn’t have her trusted companion to help her get over the loss now. Her split with Bajin last month had sent tongues wagging all over the world, and her statement after it made things even murkier. She started by saying she wasn’t “going to say anything bad about him”, before proceeding to say a series of bad things about him. Her words suggested that Bajin’s methods were depriving her of ‘happiness’, that he said ‘negative stuff’ while in her box, and that he had a tendency to criticise her behind her back. How much truth there is to Osaka’s insinuations, is something that only the two of them can really know. But to the outside world, it seemed like Osaka had put one unhappy chapter behind her and started another one, with new coach Jermaine Jenkins. Like Bajin, Jenkins was also a hitting partner of a Williams sister ― but Venus, not Serena. The association with Jenkins hasn’t yielded immediate results, but could that be because there’s more than one thing weighing on Osaka’s mind? The lawsuit by her former coach Christophe Jean, which came to light only three days ago, seems like a rabbit-hole of unsavory promises and ugly counter-claims. It suggests that Osaka’s father Leonard Francois asked Jean to help out with his daughters’ training when they were in their teens, and deferred the payment for his services until they were both successful tennis players. The contract that forms the basis for the lawsuit, allegedly promising 20 percent of Naomi’s tennis earnings to Jean until eternity, was supposedly signed when she was 14. And Jean isn’t the only one making such a claim. As reported by Sun Sentinel, there are a bunch of South Florida coaches who helped Naomi and her sister Mari when they were young, but haven’t got a dime of payment yet. Osaka’s lawyer Alex Spiro has brushed off Jean’s lawsuit as a ‘false claim’ on the grounds that the then-teenager never saw or signed the contract. Even if Spiro is lying and Osaka did sign the contract, there is still the legal question of whether a minor can be held accountable to an act influenced by her guardian. The culpable party here, if there is any truth to the allegations, seems to be Leonard Francois and not Naomi herself. 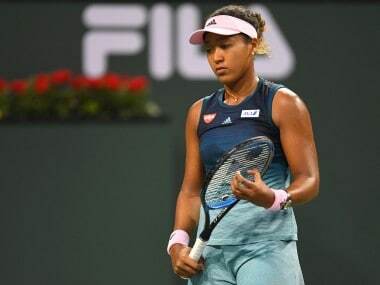 The ambiguity around the whole issue has clearly hit home, and Osaka replied with a simple “I am unable to make a comment,” when asked about the issue in Miami. From her perspective, the early exit from the tournament could at least have one silver lining: she won’t have to answer questions about the lawsuit for the next couple of weeks. Coaching changes, unsavory lawsuits, the pressure of being No 1 ― the world is probably looking like a whirlpool of thorny issues to Osaka at the moment, with not a moment to enjoy or savour. And while all of this is going on, she is still expected to make improvements to her game in order to turn into the truly irresistible force she seemed destined to become just a month ago. Against Hsieh on Saturday ― and also against most of her opponents this past month ― Osaka’s second serve has been as much of a liability as her first serve has been an asset. It is sitting up too much right now, almost begging to be put away, and even someone as under-powered as Hsieh was able to strike a flurry of clean winners off it. 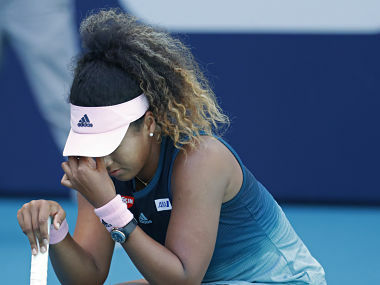 “She was being aggressive on my second serve which is something I need to work on,” Osaka said while analyzing the reasons for her loss on Saturday. Considering that the season of slow claycourts is coming up, there is no doubt that Osaka will have to work on it if she wants to avoid getting broken every second game. Is it humanly possible to focus on so many different things at the same time though? “I don’t know why this is happening,” was Osaka’s first response when questioned about the loss, but from the outside it doesn’t seem hard to figure out why. There’s just too much going on in Osaka’s life right now; the throne has come with a price that is seemingly too high for a 21-year-old to pay. 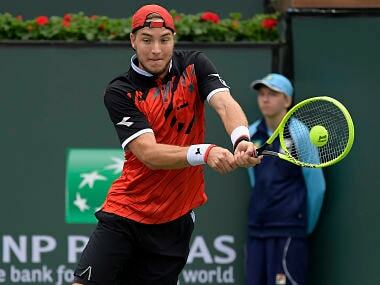 It can’t be fun to be No 1 with a target honing in on your back and an array of off-court problems eating at your head. And as Osaka’s pained screams during her losses and morose pressers after them show, it’s even less fun to have the weight of the world on your shoulders as you try to regain your inner peace.